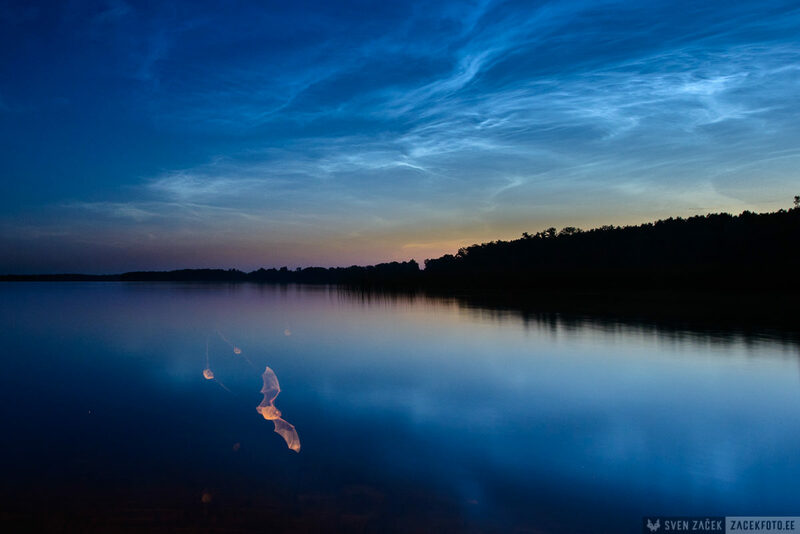 On a July night I ventured out, because Noctilucent clouds were playing in the sky. After I spent a few minutes on the shore of a lake looking for a suitable composition I noticed that bats were flying low over water and catching insects. That was when an idea arouse in my head. In order to convertr that idea into a photo I needed a special setup that I didn’t have with me at the time. Luckily after ten days Noctilucent clouds were in the sky again and this time I was ready for them and for low flying bats. Notice that this photo is taken with a 24 mm lens, which means that the bat is very close to the camera. I had to stay very quiet for hours and along with a photo was rewarded with a sight of a flying mammal as close as 20 centimeters to my face. This photo won the first prize in Manfrotto Night Photo 2017 competition.